The March 2016 Penguin Style clothing catalog has been released on Club Penguin. 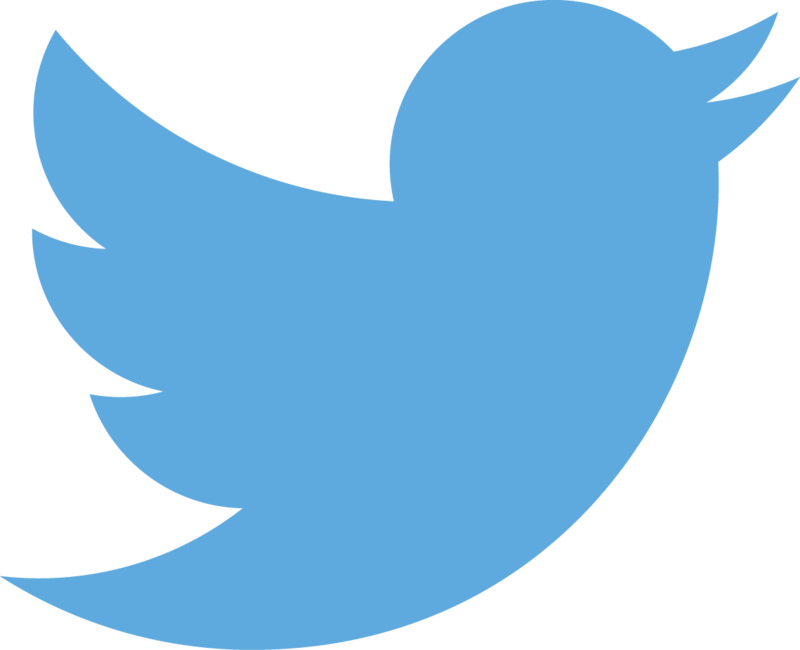 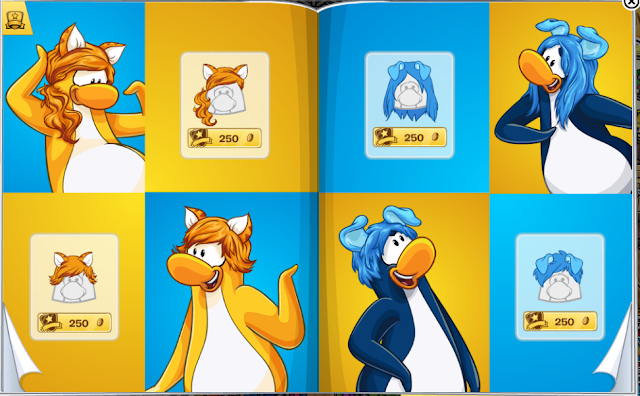 It features the island's monthly fashions, the next Penguin Style catalog after this one will be released on April 6, 2016. 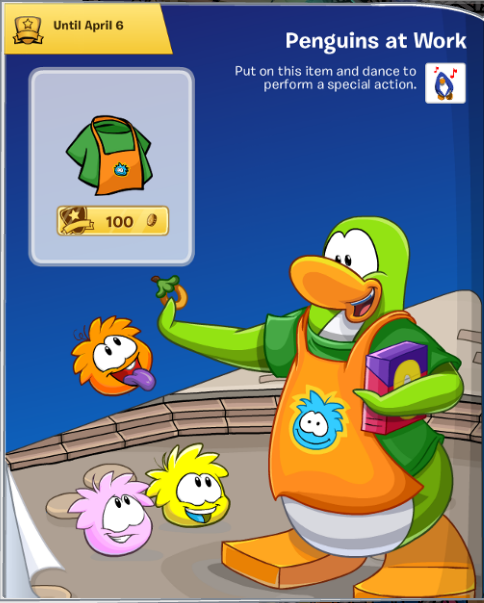 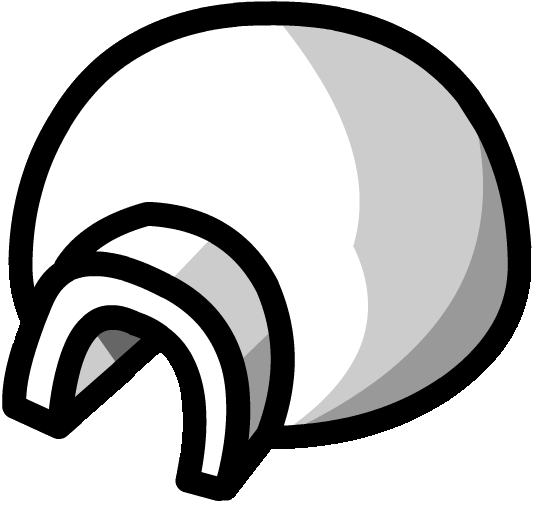 The fashion theme for March is all about puffles, with the Club Penguin Team entitling it "pet-inspired items" on their homepage. 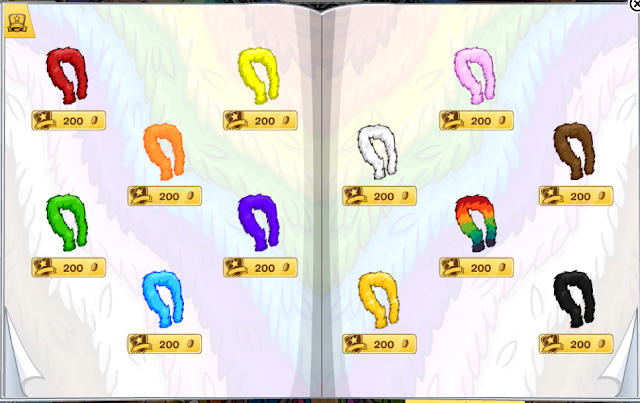 For this catalog, I will not be showing the free items, as they never change. 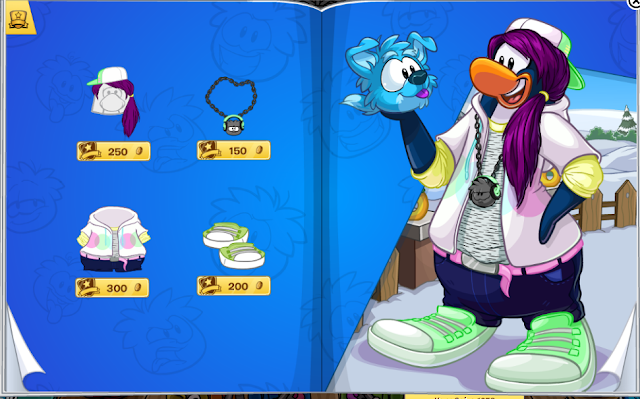 I will just be focusing on this month's fashions and the new items. 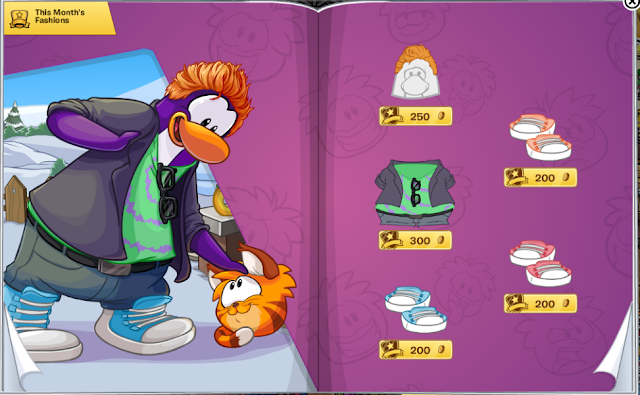 Anyway, there's a lot to cover in this catalog, so let's get jump right in! 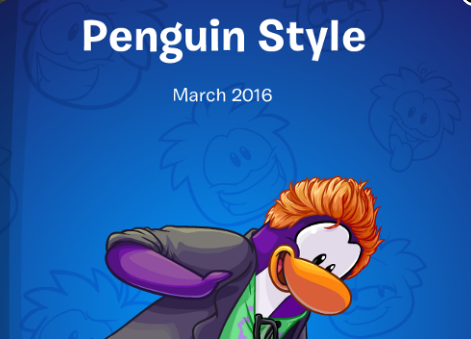 The front cover features a penguin with orange hair that, weirdly enough, resembles Beaker from The Muppets a bit (as I pointed out on Twitter earlier). If we take a peek into the catalog itself, you'll notice the first page beyond the free items is the start of this month's fashions. 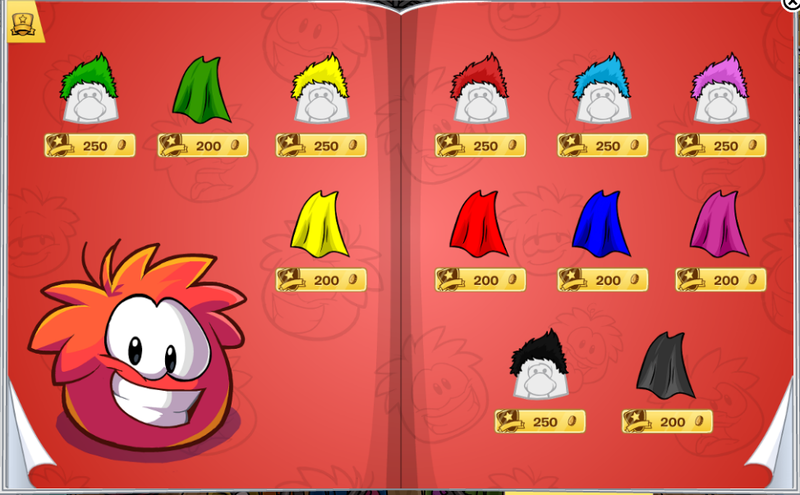 There's heaps of puffle fashion for penguins, so I'll let you scroll through it and experience it all first hand. 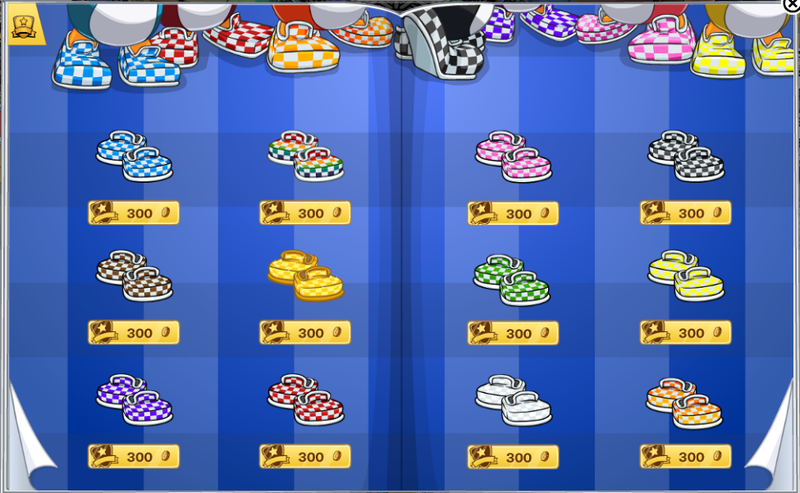 The Penguins at Work for March 2016 is the Puffle Shop Worker! 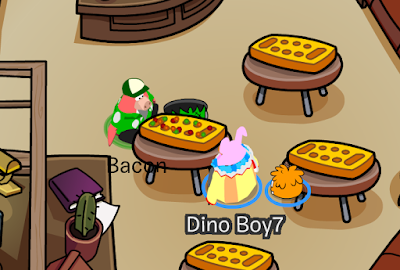 Grab your puffle apron and feed some hungry fluffballs today! 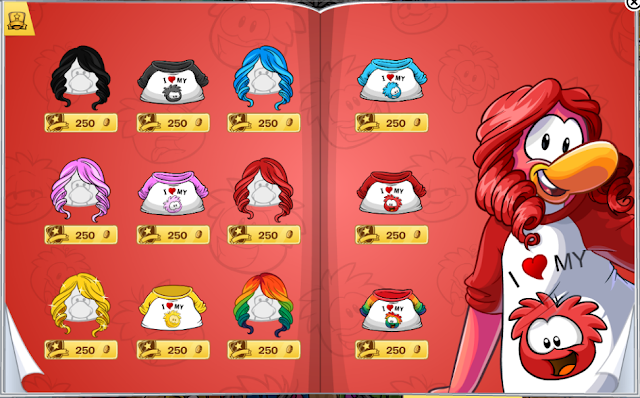 Whew, that was a jam-packed catalog. 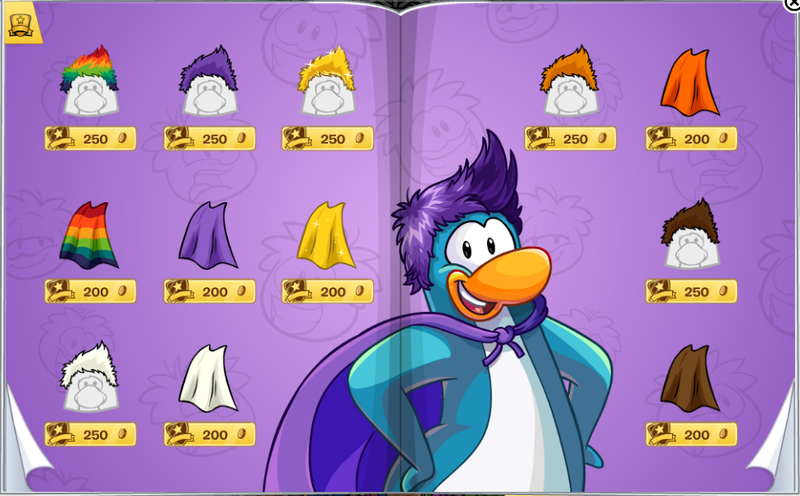 It had everything from puffle sneakers, to feather boas, to hoodies and puffle-flavored capes. 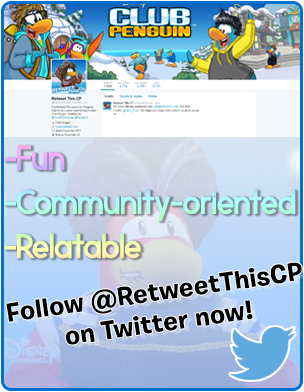 I'm sure everyone is prepped for the Puffle Party 2016 on Club Penguin, I know I am!